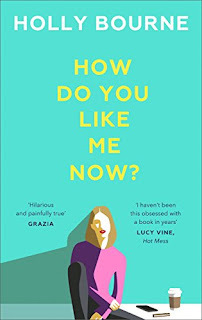 The debut adult novel by bestselling author Holly Bourne is an exploration of love, friendship and navigating the emotional rollercoaster of your thirties. 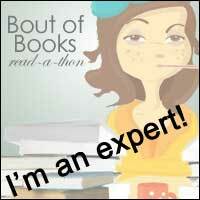 Review: This book was just so great. It was everything I look for in a book; it has a character who is the same age as me, it has positive feminist messages by the bucket load and it made me laugh a lot whilst also making me think and making me cry just a little bit, what more could you want? Also: how this the first Holly Bourne novel I've read? I own all her others! So obviously this book has had a lot of hype surrounding it for the best part of a year and despite having a copy of it for quite a while, I wanted to wait for the hype to due down a little before picking it up in the hope that it wouldn't skew my judgement in any way, but the hype was worth it. This is such a well-rounded novel and a novel that needs to be in the market today that it deserves all the hype it gets. If you spend any time on social media, you will be able to relate to this novel. If you have university friends whose lives are all going in different directions, you will be able to relate to this novel. If you have ever got just a little bit angry drunk, you will be able to relate to this novel. The main character in this book is great because despite being a best selling author and someone with a HUGE online presence and following, she is really easy to relate to. She has the same thoughts and concerns about her life, her body, her friendships and relationships that we all do and so she is just wonderfully easy to spend a book with. I loved her because she is straight talking and speaks with her friends and family the way I do. Her book was marketed on straight talking and in front of other people she is exactly like that. In her own space though, she has doubts but is in fact too bothered by what other people think and what society 'says' she should be doing to voice those doubts. We've all been there and that is why this book works. The setting of this book is relatable and even though Tori is very much famous on social media, that setting is also really relatable. Her feed is filled with wedding pictures, hen do groups and baby updates (before and after birth) and so their is so much in this story about how much of our lives we put on social media, the kinds of things we share and the kinds of things we don't/ It also brings up the point that is so prevalent right now, that the lives we see others putting online, might be just to tip of the iceberg of the actual lives they are living. It puts the importance on real relationships and checking in with people in real life rather than just online because those relationships are the kind that we need to nurture and the kind that will last the time. As I mentioned already, this book made me laugh, a lot! I was reading out bits of this novel as I was reading it to tell my husband exactly what I was laughing at and he laughed too. I think it made me laugh so much because of the things I've already listed, it just being so relatable. I could see all the little moments happening to Tori being played out in my own life over the years! I can totally recommend this book and I know this will be one that I will be tempted to come back and revisit in the future, I really hope there's more from Tori, or Dee. Once you've read it come back and talk to me about Tom, that's all I'm saying. You're going to love this book for so many reasons so definitely add it to your TBR right away!